CISF Recruitment 2018: Central Industrial Security Force has circulated a latest vacancy notice titled as CISF Recruitment. To fill 200 Constable-GD (Male/ Female) vacancies online application forms are invited. Interested candidates for CISF Bharti can fill CISF Online Application Form and submit it on or before 20-08-2018. Before submitting online form you must go through CISF Constable Recruitment 2018 Notification in detail to ensure their eligibility conditions. We the expert and inspiring team members of www.privatejobshub.in have well prepared the page with pin pointed details regarding CISF Recruitment 2018-19. So, before applying against Recruitment in CISF have a look on below tuned page!!! To apply for CISF Constable (GD) Recruitment applying candidates must have done Matriculation or 10th class pass from a recognized Board/ University. Candidates who have not acquired the essential educational qualification as on 01.08.2018 will not be eligible and need not apply. Selection of applied candidates for CISF Recruitment will be done on the basis of following rounds. Aspirants need to get qualified in all the rounds to get final selection for CISF Vacancy. Before applying towards CISF Constable Vacancies aspirants are required to make the payment of application fee of Rs. 100/-. Fee can be paid through SBI Challan/ SBI Net Banking or by using Visa, Master card or Maestro Credit or Debit card. Women candidates and candidates belonging to Scheduled Caste, Scheduled Tribe and Ex-Servicemen eligible for reservation are exempted from payment of fee. Amount of Rs. 21700- 69100/- per month will be given to selected candidates through management panel of Central Industrial Security Force. Other incentives and benefits may also be offered to selected candidates. Initial step to apply online for CISF Recruitment 2018 is to login to official website that is www.cisf.gov.in. Now, follow “Notice Board” section carefully. Under that, you need to press suitable link for CISF 200 Constable-GD (Male/ Female) Recruitment 2018. By pressing appropriate link, CISF Recruitment 2018 Notification will appear. 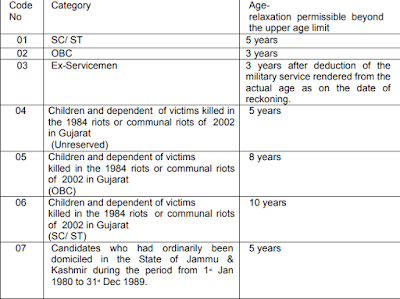 You can go through CISF Constable Advertisement and check the eligibility conditions. Eligible candidates can come back to previous page and press suitable link to apply. Fill CISF Online Application Form with all necessary details. Finally, hit submit tab and take the hard copy of CISF Constable Online Form for future use. To fetch more information about CISF Recruitment 2018-19, you are advised to visit the Official Link of the Central Industrial Security Force. Apart from this, you are suggested to stay connected with our web portal to fetch all the latest updates regarding CISF latest recruitment time to time.